When a man reaches his late twenties, testosterone levels start to decline gradually. 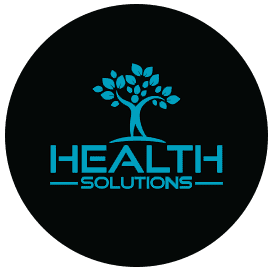 At Health Solutions in Wellington, Florida, you can eliminate the uncomfortable symptoms of low testosterone, such as weight gain, hair loss, or a sluggish libido. As a safe and effective solution, testosterone therapy can help you regain control over your life, your mood, and your health. Testosterone levels vary from one individual to the next. Some men naturally have higher or lower levels of the hormone, but it’s common for testosterone levels to decline with age. In some cases, an underlying medical condition can cause low testosterone. Other times, a man might have a lack of testosterone due to a physical injury to the testicles. Low testosterone can also cause a drop in energy levels or disrupted sleep patterns. Since low testosterone only worsens with age and can impact your health, it’s essential to monitor your hormone levels. At Health Solutions, bioidentical testosterone therapy helps men transform their lives and their health by boosting this critical hormone. Your Health Solutions physician creates a treatment protocol that is designed to give you the most effective results without any side effects. Testosterone therapy works naturally with your body’s existing hormones to compound the effects of testosterone and create balance for your mood and your health. Testosterone therapy not only improves your mood, your energy levels, and your libido, but it also increases the odds you remain healthy and strong as you age. Most men also experience a renewed zest for life after an extended period of feeling tired and sluggish. To learn more about testosterone therapy at Health Solutions, call or visit the office today and begin your journey toward a new you.